In other news, Ben has been doing well on the food side – not that it still isn’t a struggle to get more food in him than he throws up (a lovely image – I apologize) but he has been easier to feed in general. In fact, he’s now 24 pounds! I know it’s not much for a kid who’s more than 2 years old – but for us, it’s wonderful. In fact – it puts him at the 6th percentile for weight. That’s solidly on the chart. 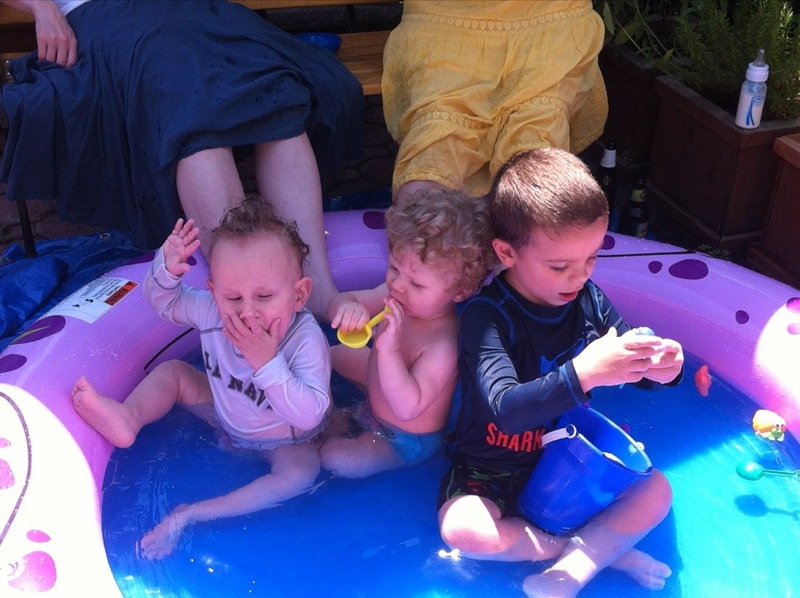 Ben also had a great time with his best buds, Jack and Jerome, this Independence Day – splashing and laughing. They also took a trip to the Brooklyn Children’s Museum – which was a bit much for Ben, but we’ll be back.